Oksana Potapenko is married with a teenage son. She is an entrepreneur from Berdichev. She sells second hand clothing in a small store at the local bus station. Many people who come to her home town from neighboring villages shop at her store. Oksana offers a variety of inventory at affordable prices. Currently, she has 30,000 UAH worth of inventory. Her net profit is over 10,000 UAH. 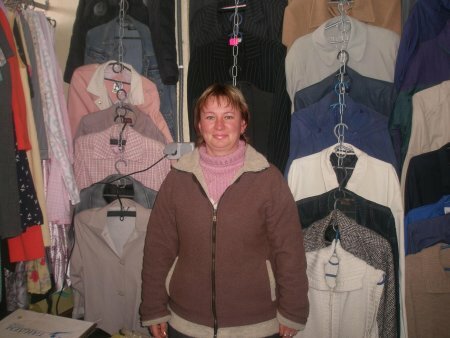 Oksana is requesting a loan of 8,400 UAH to restock her merchandise and increase her turnover capital. Second-hand clothing items always sell well in Ukraine where many people can’t afford to buy new clothing. Oksana is hoping to continue working with this type of merchandise as this business is the main source of income for her family. One of her long-term goals is to purchase a facility for her business and open her own little second-hand clothing store in the future.